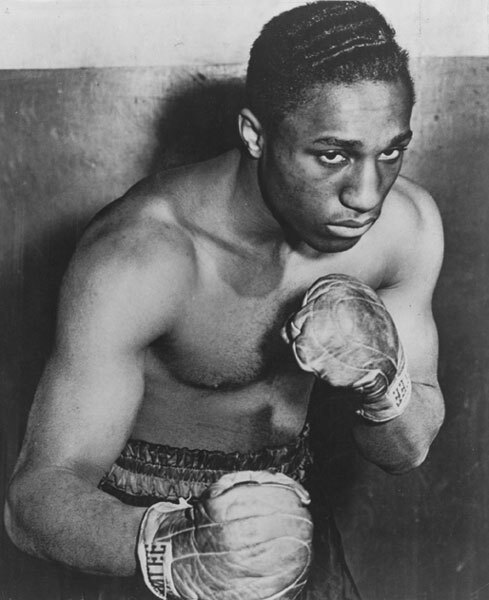 Billy Arnold, once a promising 147 pound prospect from South Philly, scored one of the final wins of his career on this day in 1947. The 6th round knockout victory came against a familiar foe named Lennox Dingle. On his way up, Arnold faced the same Lennox Dingle in his tenth pro bout, which ended like most of Billy's fights - in the first round. In his first ten contests, six opponents went out in the first, while the other four failed to make it through the second. "The New Joe Louis", as Arnold was called, stretched his unbeaten streak to 31 contests before losing two in a row to Fritzie Zivic and Rocky Graziano. Arnold's career continued but his ranking slipped and he never made it to a title fight. In 1947, he met Dingle for the second time and stopped him in six. Billy would only win one more bout in his career, going just 1-6 in his final seven. In the end, he posted a 42-9-1 record.